Enter the Arena and get ready to fight fierce 1v1 real-time battles against players from around the world! Experience unique gameplay and an original take on pool physics with this card-collectible PvP strategy game where every smash counts! Win battles, gain trophies, collect rewards & cards to unlock your heroes' powerful abilities that will turn the arena upside down and smash your enemy to pieces. Join a clan, meet other Smashers and support each other on your way to the top of the ranks. Rule the world of Smashing Four together! Prove your skill in 1v1 PvP! Execute your strategy in different arenas! Smash your way to the victory! Smashing Four is a free to play game and as such it doesn't require you to spend any money to fully enjoy. However, it is possible to buy game currency or special offers using real money via in-app purchases. Currency can be used to acquire products such as Coins, Hero cards or Orbs that may help you progress faster. This does not ensure victories in battles. We do not support 'pay to win' mechanics. 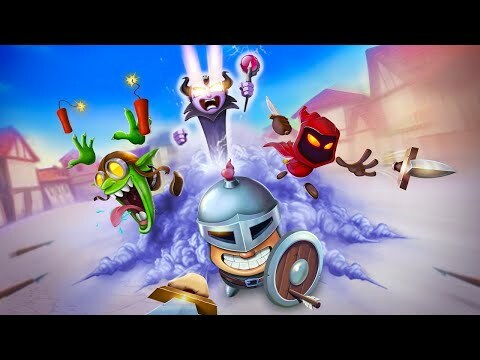 - Prepare yourself for a new Arena 8 and new Heroes! - Love is in the air in our new event. Get ready for the Blind Date Challenge! - Clan Leaders can now directly message their clanmates. * Everyone at Smashing Four would like to wish you a Happy Holidays and a very Happy New Year! See you in 2019! * Get ready for a new hero! * Is that time of the year again? We've set everything up for the upcoming festive season. Have a good one! - Welcome to new Season Arena! Experience a new battle environment every season! - Clan Quests! Contribute towards a common goal and earn rewards! - Get ready for more Special Offers including the all new Hero Orb! - Take advantage of Halloween special offers - coming soon! - Important bug fixes and optimisations. - Challenges! Put your skills to the ultimate test in a thrilling new game mode! - Take advantage of a new special offer in Arena 2! - We are happy to introduce a smashing new user interface! - New Orb management - no need to open an orb before unlocking a new one. - New cards stats will help you compare heroes' physical attributes. - Get ready for 2 new heroes!- Many important bug fixes and optimizations.- Looking forward to your feedback and comments!